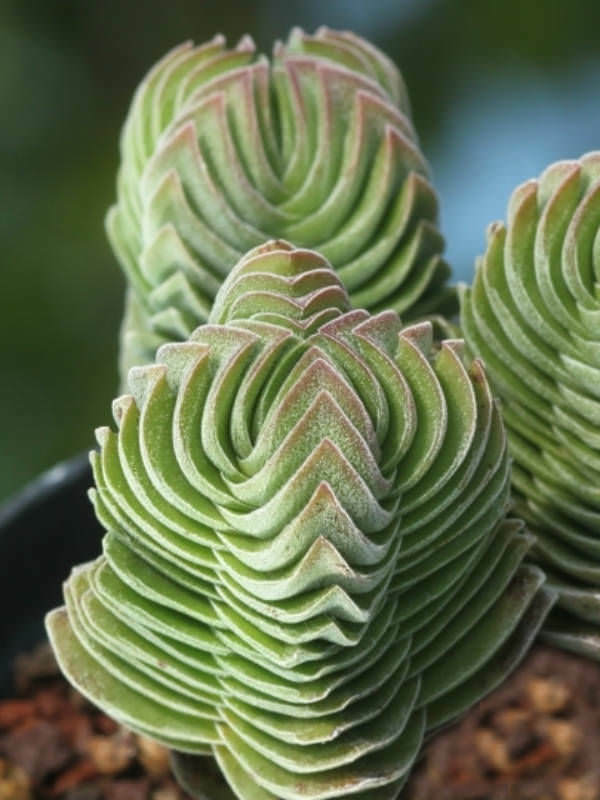 Crassula ‘Buddha’s Temple’ is a very interesting succulent plant. 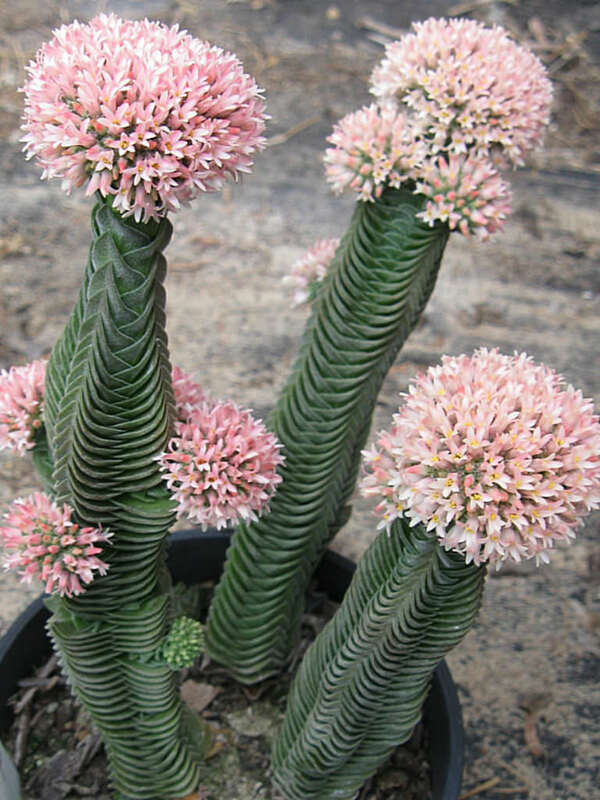 In time it will grow up to 6 inches (15 cm) tall and start branching at varying levels from the sides of each column. The flat, thin leaves are silvery-grey to grayish-green in color. 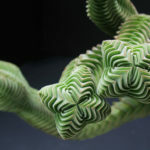 They are stacked tightly and folded up at the edges, forming a perfectly square column up to 1 inch (2.5 cm) in diameter. 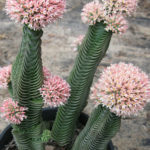 It develops the most wonderful spherical red, orange or white flower stuck to the top of the plant. 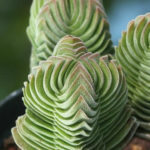 Hybrid of Crassula pyramidalis and Crassula perfoliata var. minor. 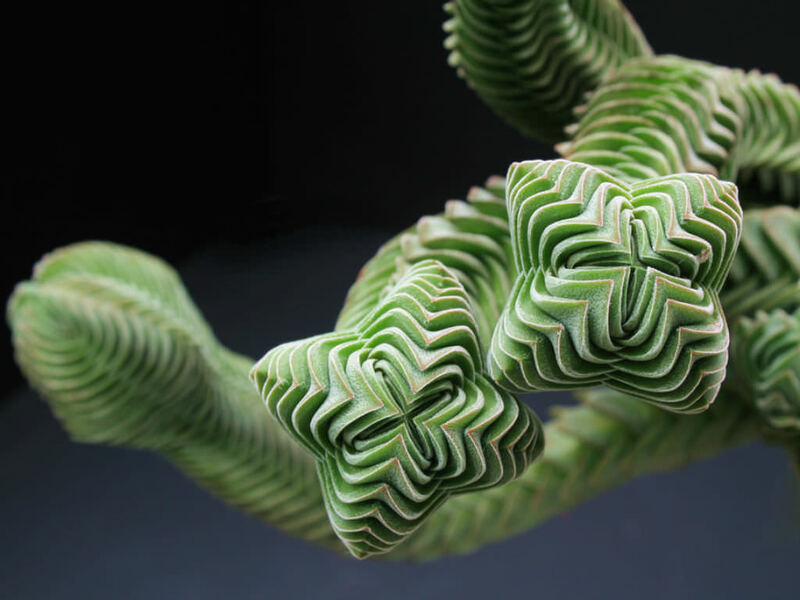 Hybridized by Myron Kimnach in 1959.